Do you love using How Full is Your Bucket in your classroom to teach kindness? Add some physical fun to your lesson using these prompts! 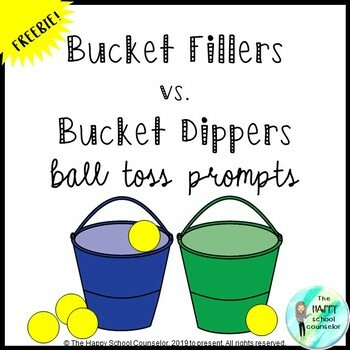 For the activity, you will need plastic buckets and plastic balls - or whatever you have that would work. I recommend any type of dollar store for buckets, and Amazon for the plastic balls. I have used this activity successfully with a special education unit at the middle school level, but this could be great for elementary kiddos as well. I put the prompt slides up one at a time to help pace students, and to manage the timing of the ball tosses. Please note: the majority of the product is not editable. Huge thanks to Graphics from the Pond for the bucket images, and to Hidesy for the faces!